Soft painted felt feathers adorn our wise chief as he brings his four family members together to greet you. 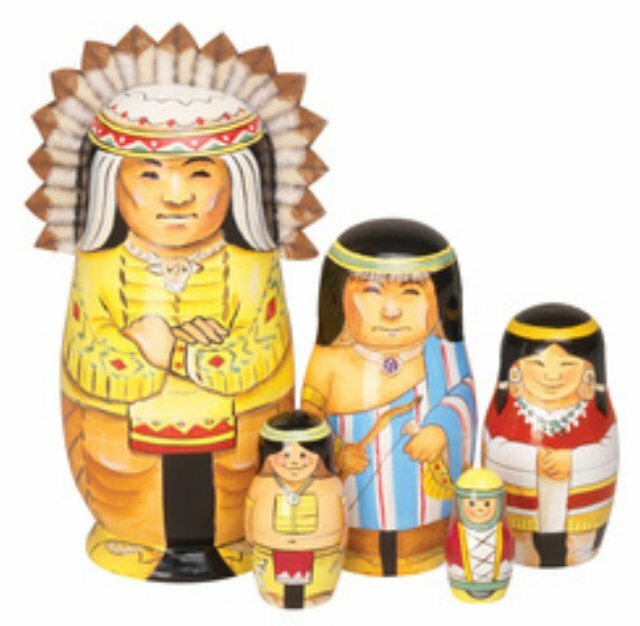 A unique five piece nesting doll set to hold your small trinkets or display in your home. Perfect for any nesting doll collection. Tallest doll measures 5 3/4" high. Designed by artist Bob Bates.